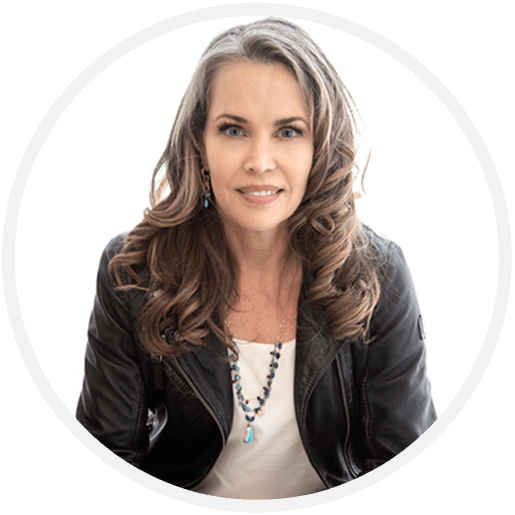 This is a series of offerings that will dispel common myths about what detoxification is and how to stay safe and strong in our lives and this world that challenges us in so many ways. In part one of this series I covered detoxification fundamentals including how our bodies process toxins and practical steps we can take to support our bodies’ efforts at detoxification using food and lifestyle. In this current offering, part two, we’ll look at food toxicity, how to recognize it and how to avoid it. We must avoid pesticides and pollutants in our living environments. We must avoid plastics for food storage and consumption, as well as single-use bags and containers that are ravaging our environment. We must emphasize organic in our food choices as much as possible. We must bolster our innate detoxification systems (see below). We must protect ourselves from the negative energy of others. We must manage our own negative energy (practice optimism, gratitude, compassion and kindness). We must avoid excessive distraction and obsession with technology. We must protect ourselves from excesses of negative information (news). We must create personal environments that are aesthetically pleasing and free from clutter. Our food supply is now filled with what my mentor, Dr. Jeffrey Bland, would call “new to nature molecules.” In addition to pharmaceuticals these include man-made synthetic and altered foods and food additives, designed to make food more resistant to spoilage, easier to package, more colorful, convenient and generally more pleasing to the consumer. The processing of food in these ways causes it to lose most of its nutrient value, particularly with respect to micronutrients. Food additives are often devoid of all nutrition and are often overtly toxic. I talk a lot about the health problems associate with sugar consumption. It is one of the most toxic substances that we consume on this planet. Our massive sugar consumption as a modern species is one of our greatest downfalls and contributes to all of the major chronic health problems we face, including heart attack, stroke, diabetes, obesity, arthritis, autoimmune disease and cancer. We are designed to intrinsically manufacture all of the sugar we need through a process called gluconeogenesis. While the small amounts of complex carbohydrates that we consume as part of a healthy, real foods diet will not hurt us, we don’t need it to survive or even thrive. Not only can we very successfully function with a very low intake of sugar in our diets, even small excesses are toxic and will absolutely contribute to chronic health issues. As a species we were designed to manufacture all of the sugar our bodies need for energy production from a “real food” plant and protein-based diet. We don’t need to consume any sugar at all. We intrinsically make what we need and are very adept at making energy from dietary fat. Our ancestors, who ate seasonally and often faced periods of scarcity, were built to withstand long periods with no carbohydrate in their diets at all, and subsisted on meat and fat alone. This is likely the origin of insulin resistance, as this allowed the shunting of our ancestor’s intrinsically derived sugar to the brain and vital organs. In today’s world of sugar abundance the insulin resistance that saved our ancestors has become our downfall. Sugar, in excess of our needs, is as toxic as any environmental chemical that we are exposed to. In fact, it has the opportunity to become the most ubiquitous and harmful toxin known to mankind due to its abundance and massive consumption by people worldwide. Cane sugar and high fructose corn syrup (HFCS) are the sugars most associated with our current epidemic of obesity and related disorders such as high blood pressure, fatigue, liver disease, diabetes, arthritis and mood disorders. The average American consumes about 130 pounds of sugar per year. Most of this comes in the form of regular soft drinks sweetened with HFCS, sugars, candy, baked goods and fruit drinks. The average teenager consumes 2 HFCS-containing sports drinks daily. All sugar in excess is bad, including that derived from “natural” sources such as honey, agave, maple syrup, fruit and starchy vegetables. While all sugar is bad in excess, likely the biggest villain is HFCS. Like table sugar, or sucrose, HFCS is made up of glucose and fructose in roughly equal amounts. Sucrose is one glucose molecule linked to one fructose molecule. The bond between them must be enzymatically broken in the digestion process before being absorbed and entering our circulation. HFCS is made up of free glucose and fructose, does not require digestion, is freely absorbed, rapidly making its way to the liver via the portal vein. There is no hormonal feedback associated with its consumption to control intake. So large quantities can be consumed without the usual signaling that alerts us about having had enough and it is rapidly converted into fat within the liver where it is dumped immediately after consumption. HFCS is produced as a sweetener that is economical, stable and easy to add to processed food. It has become ubiquitously available in the industrial food supply and meets the needs of the developed world’s desire for a high degree of sweetness in its food and drinks. The problem is that we can now practically mainline sugar right into the liver. The liver tries its best to transform this sugar into fat to keep blood levels down and conserve it for the times of scarcity that never come. This makes us fat and sick. HFCS is found in highly processed, nutrient void foods and its composition is not regulated. It has been found to be a source of toxins such as mercury and other contaminants. HFCS is a really dangerous food. It’s important to consider the impact of processed grains in our discussion about sugar. Grain that has been pulverized to create flour products used in breads, cereals, crackers and other food products are digested very rapidly into sugar and absorbed into the body as such. The glycemic index (amount of sugar made available to the body by the food in comparison to table sugar, sucrose) is actually higher for processed grains than for sucrose itself. In addition, most modern grains have been extensively genetically altered to increase their carbohydrate content. So even “healthy” whole grains have high sugar contents and have joined the ranks of problematic foods. Sugar in excess is a toxin which is why a great deal of physiological energy goes into keeping our blood levels stable. Glucose gloms onto proteins, all of our proteins, and changes their function. This is how the devastating end-organ complications of long standing diabetes evolve. Change of function gradually leads to irreversible damage and an upregulated immune response to the “advanced glycosylation end products” that are produced and sensed as foreign protein because their structure has been so completely altered from normal. Even in the absence of full-blown diabetes, there is inflammation creating havoc, aging, loss of reserve, and susceptibility to the whole host of age-related degenerative disorders. Sugar, like all food, is information. The message is abundance—abundance that leads to obesity, inflammation, vascular disease and much human suffering. It’s best to leave it alone. Many food proteins can make us sick and toxic. We become sensitized to food proteins when our gut barrier function is compromised, becomes “leaky,” leading to closer contact between the immune cells that reside in the gut wall and the food we eat. This interaction leads to stimulation of our immune cells and release of inflammatory cytokines. These are designed to defend us but kick up a lot of trouble along the way—trouble like fatigue, achy joints, headaches and the like. This process also increases the work required by the liver detoxification pathways because the immune complexes and immune-derived chemicals created in that inflammatory storm must be processed and cleared. In addition, there is increased movement of gut-related toxins (bacterial endotoxins) through that abnormally permeable gut barrier that likewise require clearance by the liver detoxification pathways. More detoxification work to be done can spell “overwhelmed” in the susceptible person—a person genetically vulnerable or lacking in any of the important support nutrients and mediators of detoxification. Not all foods provoke problems by virtue of an immune response. Some are alarm molecules that provide information directly to our genes about ramping up inflammation. Or are foods that provide the raw materials for some aspect of the inflammatory response. This is not necessarily a bad thing (remember, inflammation is good! ), but when it occurs in the setting of an already dialed-in inflammatory response and a nutrient poor diet, it’s like adding fuel to fire. Some of these foods include burnt or carmalized foods, processed fats (trans or hydrogenated fats) and rancid or excessively oxidized fats. The Liftoff Foundational Intensive Nutrition Food Plan is an example of a strategy that removes the majority of the problematic irritant foods and is nutrient dense to support the work of detoxification and gut lining repair. For those who are particularly sensitive or who suffer from serious inflammatory, autoimmune or neurodegenerative disorders, the Liftoff Gut-Immune Restoration Intensive Nutrition (GRIN) food plan may be more appropriate, as it eliminates all common food protein sensitivity culprits. Most processed food undergoes an alteration in its basic structure to make it more stable or amenable to combination with other ingredients. This process leads inevitably to loss of nutrients and enhanced exposure to the damaging effects of oxidation and spoilage. In the food industry this necessitates the addition of preservatives and “fortification” with vitamins. In the end we have something that is to some degree less than real or certainly less than fresh and something far inferior to what we can prepare in our own kitchens. Rule of thumb: eat only real, unprocessed, fresh food for highest nutrient value, taste and safety.